uTorrent 2.0 stable version is available for download now. 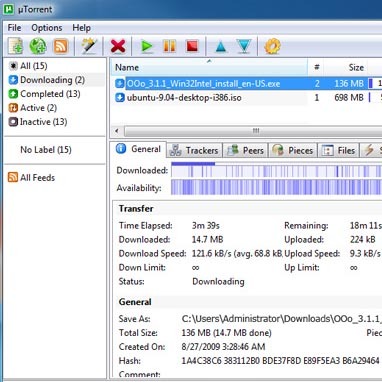 µTorrent is the world’s most popular BitTorrent client and its Speedy, efficient, and free. It uses very little cpu, memory and space while offers all the functionality expected from advanced clients. Currently uTorrent has only Windows version, and don’t support Mac or Linux OS.